For the homeowner, one of the most rewarding but possibly stressful aspects is the ability to remodel a part of your home. Between paint colors, fixtures, materials, and styles, the choices are practically endless, and choosing what to remodel, how much to spend, and when can be a terribly frustrating experience. One of the best choices for homeowners hoping to enhance their investment with a quick, easy, and impactful remodeling project is to focus on the bathroom. The bathroom can be one of the fastest-deteriorating rooms in the house, and surprisingly, improving it doesn’t have to be expensive. 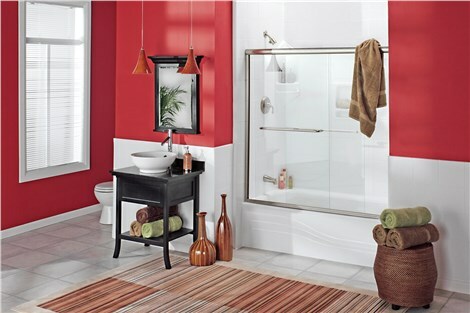 A perfect example is the shower wall, which can be replaced easily with a gorgeous acrylic,tile-look shower surround. These additions are affordable, easy to install, and can dramatically enhance the beauty and value of your home in one lightning-fast renovation. If you’re interested in a fast, easy remodeling project to beautify your bathroom, our team of professional contractors at Charleston Bath Experts can’t recommend acrylic shower wall surrounds enough. Read along as we go over everything you need to know about this simple upgrade, including how you can get started on this project to build custom shower of your dreams. One of the most popular options for a new shower wall has traditionally been tile. Tile is stylish, durable, and lasts a long time. Naturally, one would think that all is needed is to choose the color and move on. However, there is an option that may actually be better than tile. The alternative to tile is acrylic, a superior material that’s easier to clean, and just as attractive. Extra-Strength Durability: Your shower wall made with acrylic will not chip, scratch, dent, or peel. Easy Maintenance: Never worry about deep cleaning grout again. With high-quality acrylic, you’ll enjoy a sparkling clean bathroom wall without the effort of deep cleaning grout and grime. Mold- and Mildew-Resistant: Enjoy a cleaner, healthier bathroom with surfaces designed to resist mold and mildew build-up. 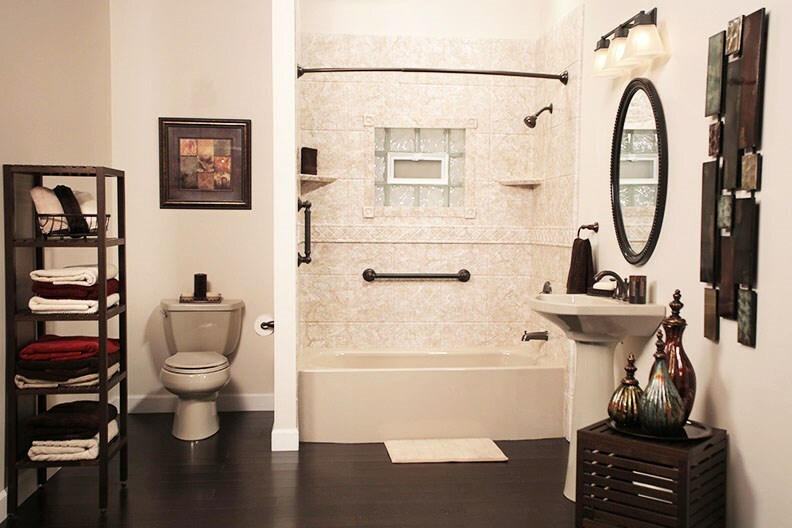 Tile is often chosen by homeowners for its traditional look and aesthetic appeal. Due to the texture and pattern options available for acrylic bath products, however, you actually can get acrylic shower walls that look like tile—giving you the best of both worlds. Acrylic wall surrounds can be styled to look exactly like tile and a number of other different patterns, colors, and textures, while providing all of the superior benefits associated with this material. In fact, acrylic can even look more beautiful than tile materials, especially over the long-run. The reason is that acrylic is much easier to keep clean and won’t break down like tile will. That means that you’ll enjoy being able to enjoy a longer-lasting bathroom wall that looks brand-new for decades, for far more time than you might with tile materials. When it comes to price, high-quality, acrylic surrounds are much cheaper than other materials like tile for a couple of important reasons. 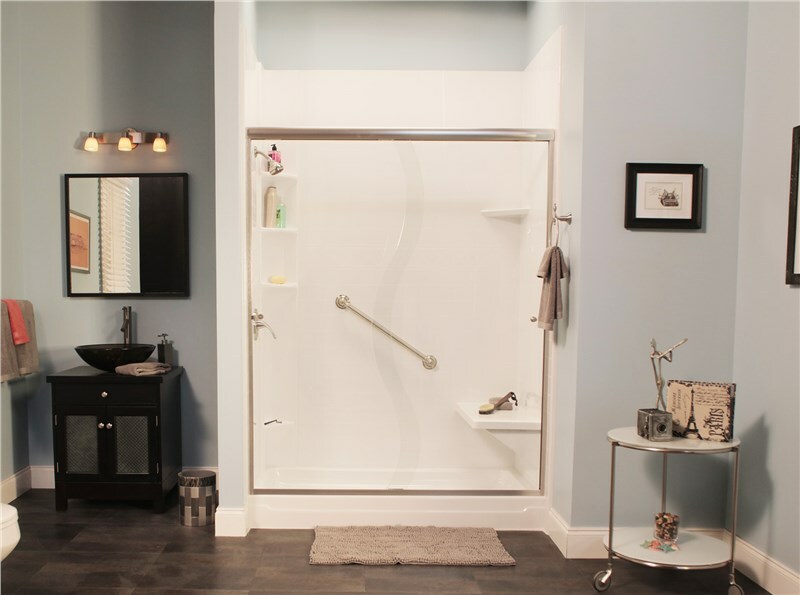 The first reason is that shower surrounds made with acrylic materials are easier to install and require less work and installation time as they’re simply placed and secured firmly over the existing bathroom wall. Tile and other materials, on the other hand, involve a more time-consuming and complicated installation process. The second reason lies in the maintenance (or lack thereof) of acrylic shower surrounds. With acrylic, you don’t have to worry about chipping, peeling, cleaning grout, or any other maintenance issues over the lifetime of your new installation—which translates to greater savings in the long term. Our Charleston company has been providing home remodeling services since 1977. Building off of our initial success, we’ve extended our expertise into bathrooms, and are dedicated to helping our customers improve their homes with beautiful, affordable bathroom renovations. Our focus is on providing the most comprehensive service for our customers. To accomplish our mission, we make sure to not only provide the highest quality products but also provide a design team to meet all of your design needs. 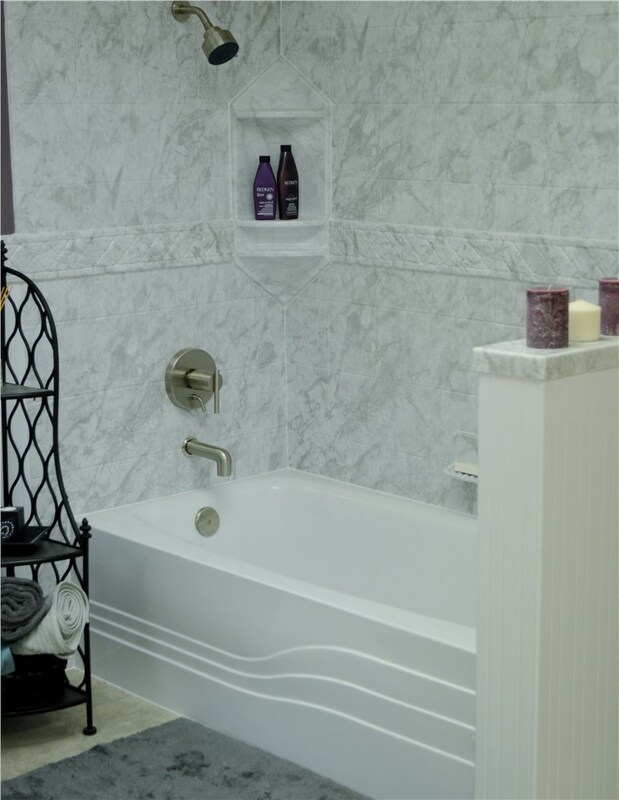 Whether it is a bathtub replacement, or a new shower wall surround that looks like tile, we are here for you. You can rest assured that your design dreams will become a reality with our team of experts, professional installation services, our limited lifetime warranties, and our superior line of high-performance bathroom products from industry-leading manufacturers.